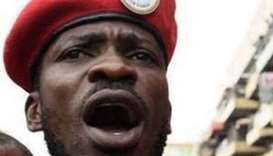 Robert Kyagulanyi was released on bail on Monday but seized by police on Thursday evening at Entebbe airport, outside the capital Kampala. 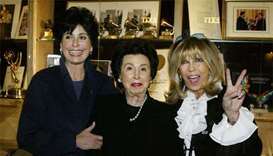 The elder Nancy Sinatra was married for 12 years to one of the most famous stars of the 20th Century. 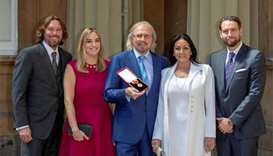 Bee Gees singer Barry Gibb received a knighthood from Buckingham Palace on Tuesday, where he was honoured for his services to music and charity. Ali Zafar denied the accusations, threatening legal action against popular actress Meesha Shafi. 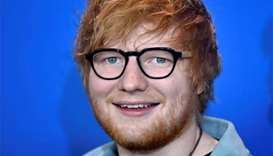 British singer-songwriter Ed Sheeran was named the world's best-selling artist of 2017 on Monday, thanks to his album Divide and singles Shape of You and Perfect. Irish singer-songwriter Dolores O'Riordan, frontwoman of the multi-million selling rock band The Cranberries, died suddenly in London on Monday aged 46, her publicist said. The "Good For You" singer said that fans had been wondering why she had been "laying low" over the summer. Christina Grimmie, a rising singing star who gained fame as a YouTube sensation and a contestant on television's The Voice, was shot dead while signing autographs for fans after a concert in Orlando, police said on Saturday. Qatar Airways has hosted a private gala in Atlanta, US, featuring singer, dancer and actress Jennifer Lopez as the headline act, for more than 400 guests from the local business and travel community. Noted singer Adnan Sami will become an Indian citizen today. He says it’s a “New Year gift”. Home ministry officials yesterday said Sami will be granted citizenship today.